Working out can be tough and finding the drive to go to the gym can be difficult. If you’re looking to boost your strength and energy to exercise successfully, this may be the way forward. Unico Nutrition was set up in 2012 to provide a new outlook to the supplement market. They claim to depart from the usual gym products which deceive us with fancy names and false promises. What we want to find out is if this is really true. With a number of Unico Nutrition pre-workout products saturating the market, what makes Goddess Unleashed worth buying? 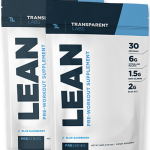 It’s their fourth pre-workout product, designed for women, to boost strength in the gym. It also comes in two tasty flavors. 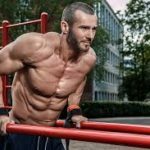 This article looks a little further into the benefits and drawbacks of the Unico Athena workout supplement, to let you know if we think it’s worth it. Although Athena Goddess Unleashed is said to be for women, the ingredient list begs to differ. There’s nothing that stands out to say it works better for women than men. 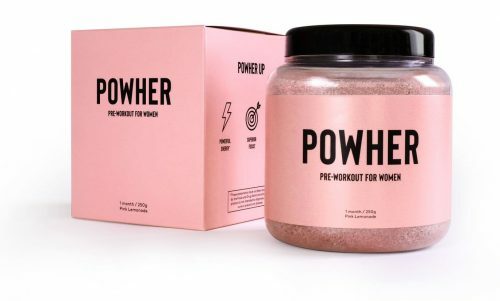 The ingredients are commonly found in unisex products, and the aim of the game is no different; boost your energy and focus whilst ensuring a solid workout. All Athena diet supplement products contain ingredients which are unsuitable for pregnant or breastfeeding women. Therefore, if this is you, then Goddess Unleashed is not ideal. What Is It About Athena V4.0 Goddess Unleashed Pre Workout That Sets It Apart from the Rest? Unico Nutrition is said to steer clear of the fancy-named ingredients we know nothing about. This is a great ethos, and we love anything that supports transparency for the consumer. Nonetheless, when we look closer at the ingredients, Goddess Unleashed includes some of the proprietary blends they claim to hate! So is it really any different to the rest? What Are the Main Ingredients in Athena V4.0 Goddess Unleashed Pre Workout? As you already know, caffeine helps boost your energy levels for a successful gym session. 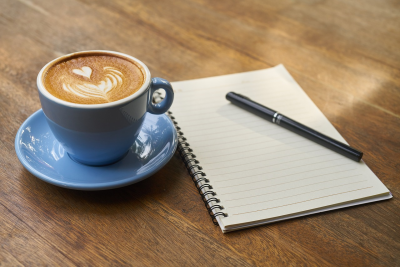 Alternatively, caffeine anhydrous is a great way to increase the effects of caffeine, as “anhydrous” means “without water”. This means it’s more concentrated than your usual caffeine, thus providing more energy. This chemical compound aids gastrointestinal function, so is great for boosting your metabolism. Again, this “anhydrous” product is a more concentrated version of the norm. We like to see it listed in gym supplement ingredients, but paired with something like coconut water powder or RedNite would be better. Then, the benefits would be increased. Without these, it seems fruitless to include betaine. 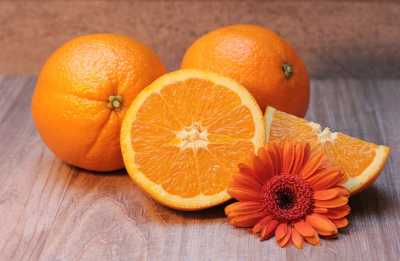 Vitamin C has a number of positive health benefits which help boost our immune system. It also reduces the risk of cancer and cardiovascular disease. Vitamin B is a great way to keep the natural workings of your body ticking away. This includes your cells and nerves. It also maintains eye, digestive, and heart function. Furthermore, it boosts energy levels and brain function as well. This is ideal to increase your focus and success in the gym. This is a proprietary blend of 30 ingredients and Athena vitamins. 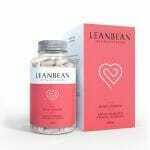 It combines a number of fruits, vegetables, and herbs which optimize cellular metabolic activity. However, with all these ingredients packed in, will they really work in such small doses? In fact, this is exactly the sort of ingredient Unico Nutrition promises not to include! Seems like a few mixed messages here. This is an amino acid which we love to see in a pre-workout supplement. Its overriding benefit is that it’s great for optimizing your exercise performance. 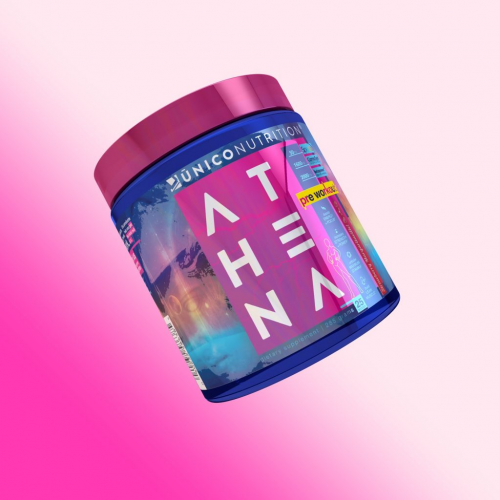 Is There Anything Else I Should Know About Athena V4.0 Goddess Unleashed Pre Workout? It’s always great to see all these fabulous ingredients in a pre-workout product. However, it seems pointless to have packed in so many. This way, the actual dose of each ingredient is likely to be too low to really have an impact. Therefore, will you really see a benefit in using Goddess Unleashed? In truth this question is difficult to answer, there’s no denying that many of the ingredients could be beneficial in the right doses. But with over 50 natural extracts in just one serving, we find it hard to believe that Athena Goddess has been priced appropriately. Instead, there are some other ingredients we would have loved to see. EnXtra, for example, is a natural ingredient which when combined with caffeine, helps increase the benefits of this well-known fat burner. Coconut water powder is another great alternative to boost energy and keep you revived throughout your training. We also like Oxyjun as a safer alternative to some of the other energy boosting ingredients on the market. Finally, RedNite is a great way to boost your body’s antioxidants and nitrate levels in the muscle. Without these four great inclusions, it is possible that Unico Nutrition was really aiming to cut costs here. Unfortunately, you won’t find any of these premium options in Athena. Pricing Review: What Will Athena V4.0 Goddess Unleashed Pre Workout Cost Me? 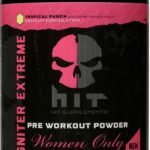 At just $39.99, this product comes in at the cheaper end of the price range for female workout supplements. This may appear a little surprising, considering the huge amounts of ingredients included. As well as the fact that you get 25 servings per tub. However, with the omittance of some of the more expensive branded ingredients, we can see why the price is a little lower than some of the competition. Side Effects with the Athena V4.0 Goddess Unleashed Pre Workout Supplement? Caffeine is often known to cause jitters, especially if you’re pregnant, breastfeeding, or anxious. Therefore, if this is you, then we would always advise using it from natural sources such as green coffee beans or green tea. Considering the huge amounts of ingredients within this product, there is also a slim chance that you’ll come across one that won’t agree with you. That said we presume many of them are included in small doses, meaning side effects may be unlikely. That does leave the obvious question, however, will they even be effective? All the reviews on Goddess Unleashed are from the Unico Nutrition website alone. They have pretty much achieved an average of five stars! Many have praised the taste, lack of jitters, and the boost it provides. Some have even said that their mood and motivation increased. However, it’s good to be wary of reviews on the actual website. Many companies actually hire people to write these great reviews. Photos and videos are always preferable when gauging the effectiveness of a workout supplement. With that in mind, it seems that many people prefer the company’s Athena Intense product. This one apparently won a 2014 award for best female pre-workout supplement. Although we are not sure who endorsed that! Powher vs Athena V4.0 Goddess Unleashed Pre Workout Which Is Better? Goddess Unleashed is supposed to be used as a pre-workout supplement to boost your energy. 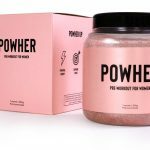 Powher is one of the few direct competitors we’ve come across online. Whilst both products contain similar ingredients. Powher contains less of them but in much larger doses. It also appears to have been formulated with women at its core. Powher contains revolutionary new ingredient EnXtra, this compound acts as a direct replacement to stimulants and can also help you get better results from a low dose of caffeine. Will Athena V4.0 Goddess Unleashed Pre Workout Work for You? Obviously, as with any product, the only way to know for sure is to try it out for yourself. Everyone is different, so what works for one person may not work for others. If you like the sound of the reviews and think it would work for you, there’s no harm in trying it. However, considering Unico Nutrition offers three different pre-workouts for women, there may be other better ones out there. Goddess Unleashed might not even be the best one in the range! Goddess Unleashed seems to be a bit of a cliche. The huge array of ingredients stuffed into the formula suggests little thought has gone into the formulation stage. Have they simply just thrown a lot of ingredients together without deciding what will work best? Well, it certainly seems that way. Overall, we think that this addition to the Unico Nutrition line is a little unwarranted. They already had several pre-workout powders available so we are bit surprised that they decided to add another one.